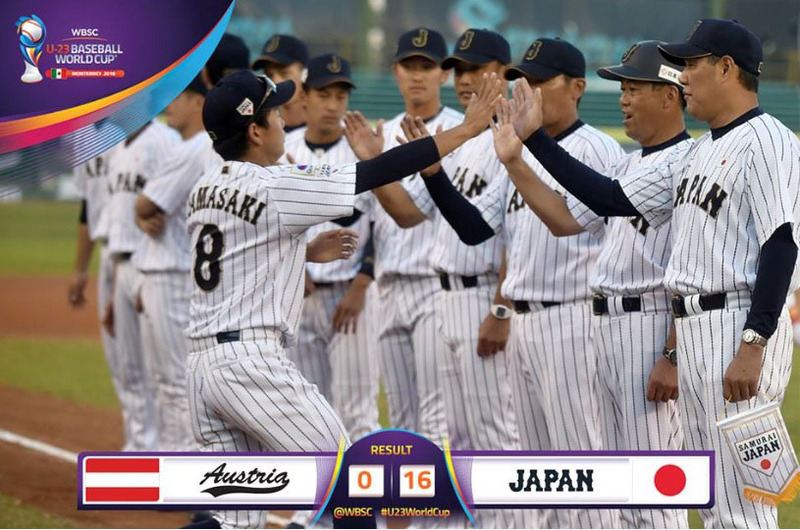 Japan (4-0) scored multiple runs in three out of their four offensive innings to cruise to a 16-0 win over Austria (0-4). The game lasted only four and a half innings due to the mercy rule. 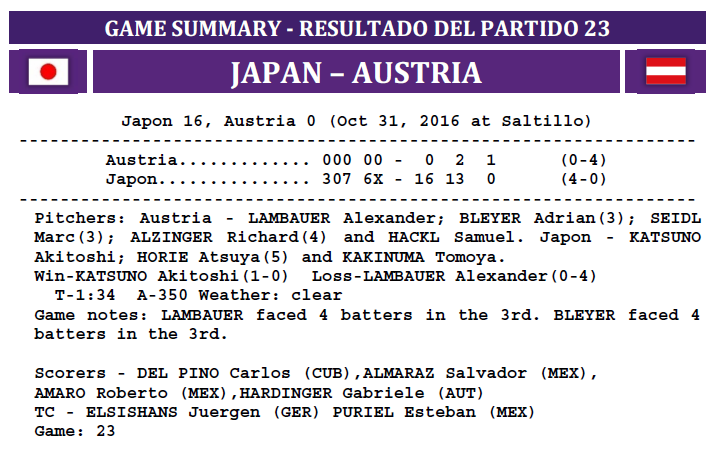 Japan starter Akitosh Katsuno allowed just two hits and struck over four in four innings of work to get the win over Austria’s Alexander Lambauer who took the loss. 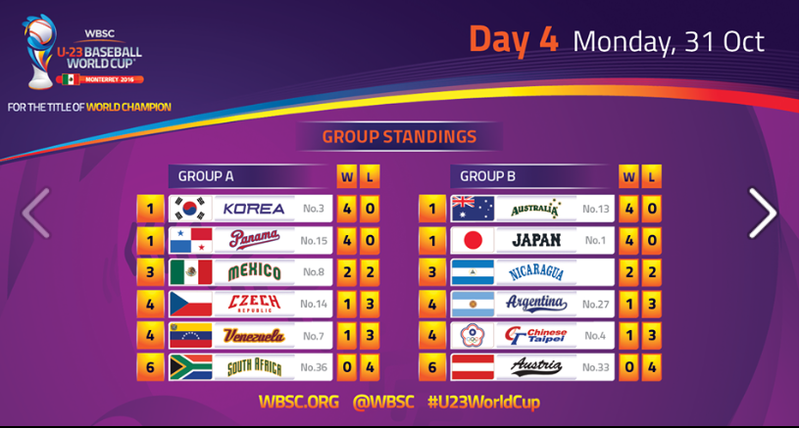 Japan had 13 hits including three from Koki Yamashita who fell a home run short of the cycle and knocked in three runs.